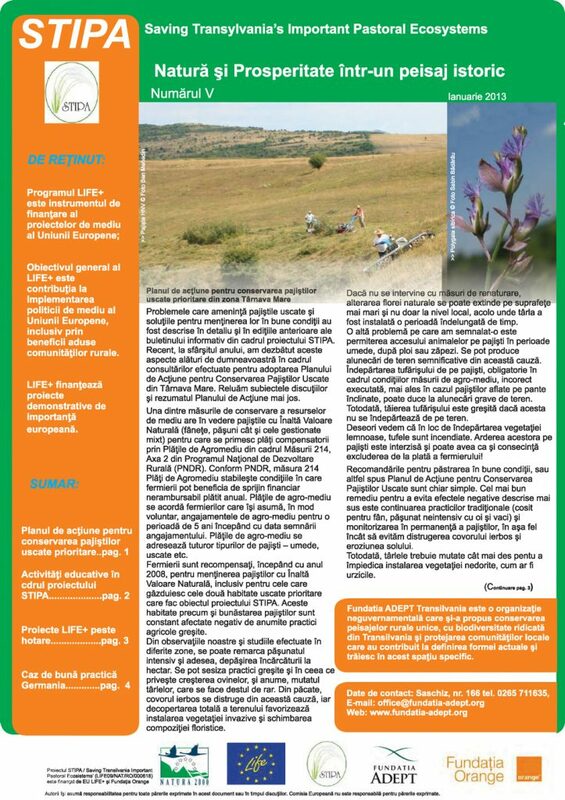 Improvement of the conservation status of Sighișoara-Târnava Mare SCI Natura 2000 site, a priority dry grassland habitat. The goal of the project is to improve the conservation status of these two priority dry grassland habitats which are threatened by land use changes: 6210* and 6240* (the dry permanent grasslands of hay meadow and pasture). 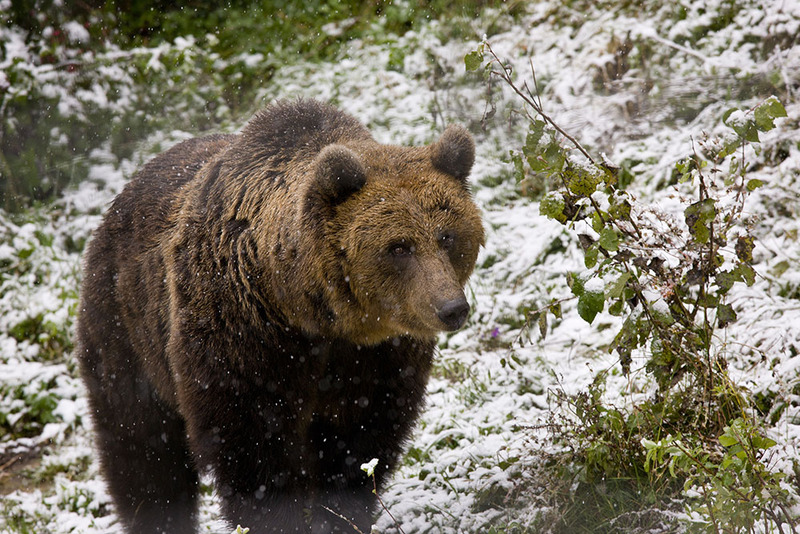 * indicates priority habitat under the European Habitats Directive, designated for habitats of special importance. 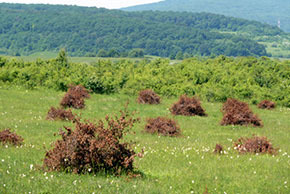 Scrub and thorn spread quickly in abandoned grasslands and a thatch of dead grass develops on top of the hay meadows smothering the plants underneath. This leads to accumulation of dead grass, gradual growth of bushes/thorny shrubs, and a massive reduction in plant diversity to be replaced by a matted grass and thorn scrub of much lower biodiversity value. 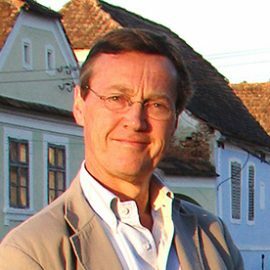 Lack of public knowledge and information about the economic, as well as ecological, value of the biodiversity of the region is one of the underlying causes of biodiversity loss. Inhabitants do not appreciate the potential international interest in the area, and the potential economic and quality of life advantages to themselves resulting from conservation, and therefore do not consider biodiversity loss to be an issue when they make land management choices. This threat will have increasing impact over the next few years under EU pressure for competitiveness, causing intensification in more commercially viable area and abandonment of less accessible/commercially viable areas. 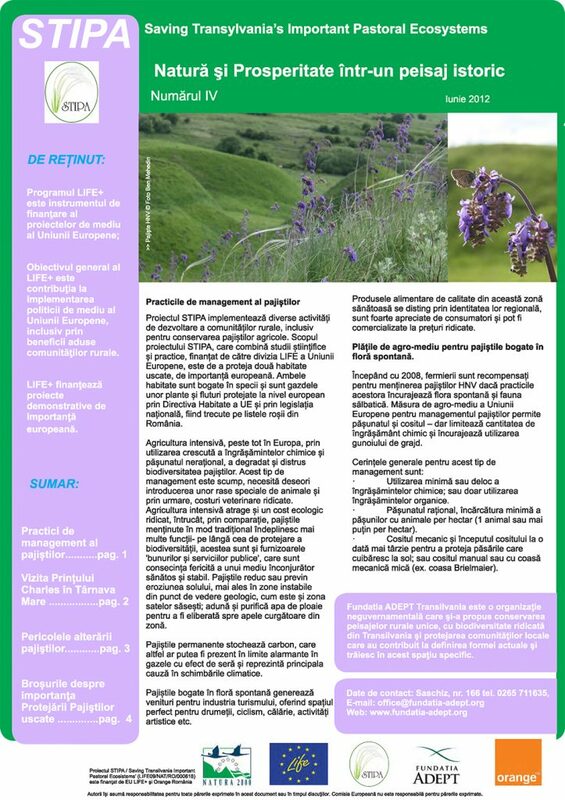 in order to raise local awareness of the value of the grasslands, we produced identification manuals, reports and newsletters for the grassland habitats, and for the distinctive flowers and butterflies found within them, in Romanian for schools, farmers and Romanian visitors, and in English for foreign visitors. These grasslands – specifically the dry permanent grasslands of hay meadow and pasture, were the object of this project. But it is important to remember that they lie with a very important man-made mosaic of habitats, including forest and arable. This leads to extraordinary biodiversity. 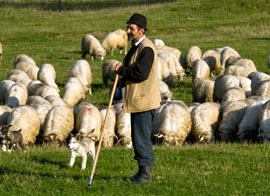 As an indicator, Southern Transylvania is the last lowland farmer landscape in Europe with viable populations of wolves and bears. In the early 1990s the majority of Saxons left their Saxon villages and cities and moved "home" to Germany. This caused a social and economic upheaval, and a depopulation of the area, bringing about land management changes and abandonment. 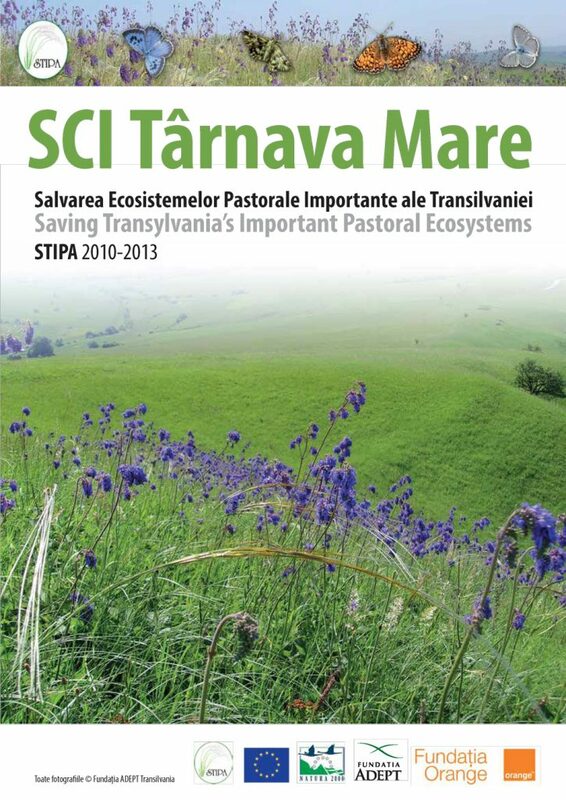 The dry grassland habitats and species of Târnava Mare are of European importance. 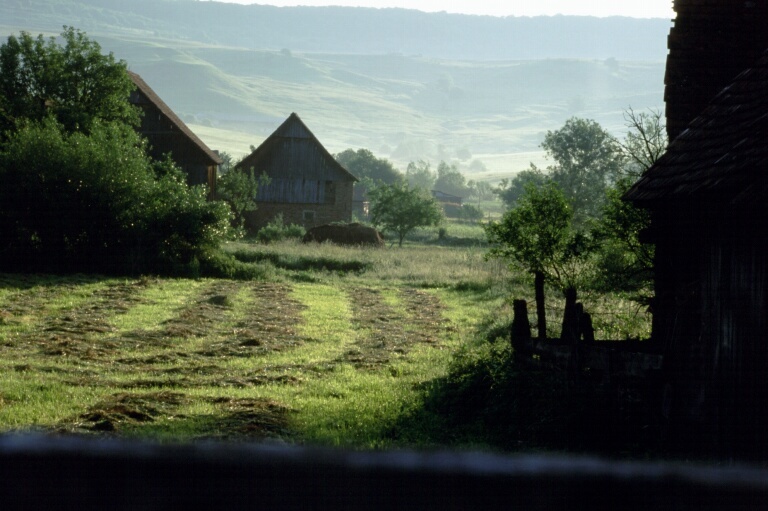 The wildflower-rich pastures and meadows have disappeared over much of Europe through agricultural intensification, but are still widespread in this area. 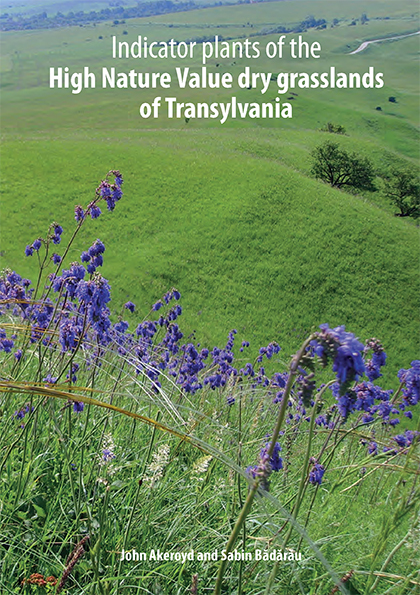 The dry grasslands of Transylvania have some of the highest floristic diversity recorded anywhere in the world, and support substantial populations of rare vertebrate and invertebrate fauna. 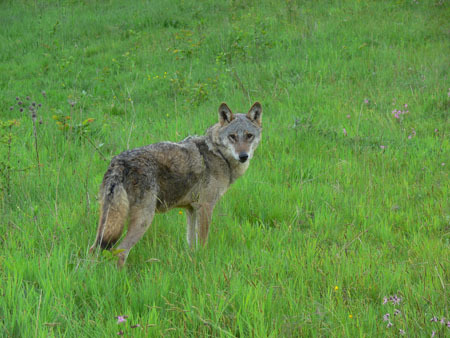 But these grasslands are threatened. Of the 5,000 ha of these grasslands in the area, about 1,000 ha are poorly managed: overgrazing in easily accessible sites, abandonment of less accessible grassland (causing spreading of thorny scrub). These effects are obvious but still easily reversible by re-establishment of traditional management. 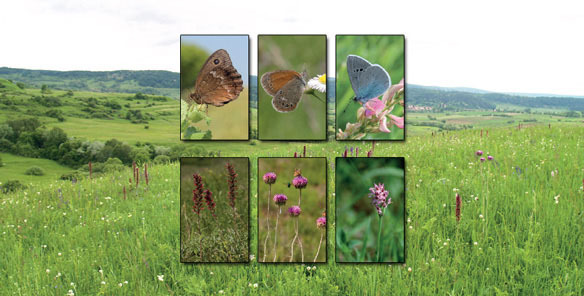 The project is designed to help the continuation or re-establishment of grassland management that will bring these habitats under proper long term management regimes. 6210* dry grasslands over limestone or other calcareous substrates (Festuco-Brometalia),with important orchid sites. Covering about 4% of the Sighișoara-Târnava Mare area. In the project area, the calcareous substrate is largely marl or lime-rich clay. This type of grassland, dominated by Upright Brome (Bromopsis erecta) and fescues (Festuca species), is widespread on south and west facing slopes, both steep and gentle, with few or no trees. On deeper, slightly less dry soils of higher nutrient levels, it grades into another type of dry grassland dominated by Tor-grass (Brachypodium pinnatum). These grasslands are often a rich carpet of wild orchids and other wild flowers, including Red Viper’s-bugloss (Echium maculatum), Jurinea (Jurinea mollis) and Three-toothed Orchid (Orchis tridentata). 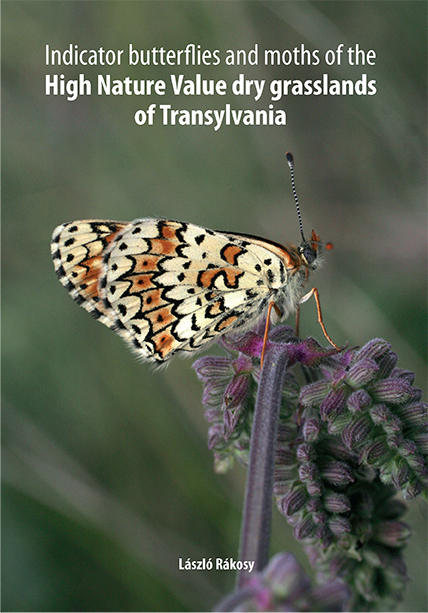 Characteristic butterfly species include the Dryad (Minois dryas), Hermit (Chazara briseis), Green-underside Blue (Glaucopsyche alexis) and Chestnut Heath (Coenonympha glycerion). Covering about 2% of the Sighișoara-Târnava Mare area. These steppic-type grasslands occur on the steepest sunny slopes and are dominated by various grasses, especially feather-grasses (Stipa species) as well as Chrysopogon gryllus, Dichanthium ischaemum and the small sedge Carex humilis. In this habitat we find several rare plant species including the showy Steppe Sea-kale (Crambe tataria), Burning Bush (Dictamnus albus) and Nodding Sage (Salvia nutans), and the dwarf flowering shrub Steppe Almond (Prunus tenella). Butterflies found here include Large Blue (Maculinea arion), Chalkhill Blue (Polyommatus coridon), Yellow Banded Skipper (Pyrgus sidae), Eastern Baton Blue (Pseudophilotes schiffermuelleri) and Red-band Fritillary (Melitaea didyma). About 5,000 ha of these rare and protected habitats exist in the SCI. Of these, about 1.000 ha are poorly managed: overgrazing in easily accessible sites, abandonment of less accessible grassland (causing spreading of thorny scrub). This is the result of neglect and collapse of traditional rural economy. 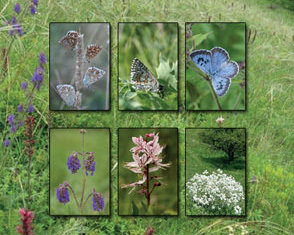 For further information on the plant and butterfly species linked to these habitats, download the booklets below. 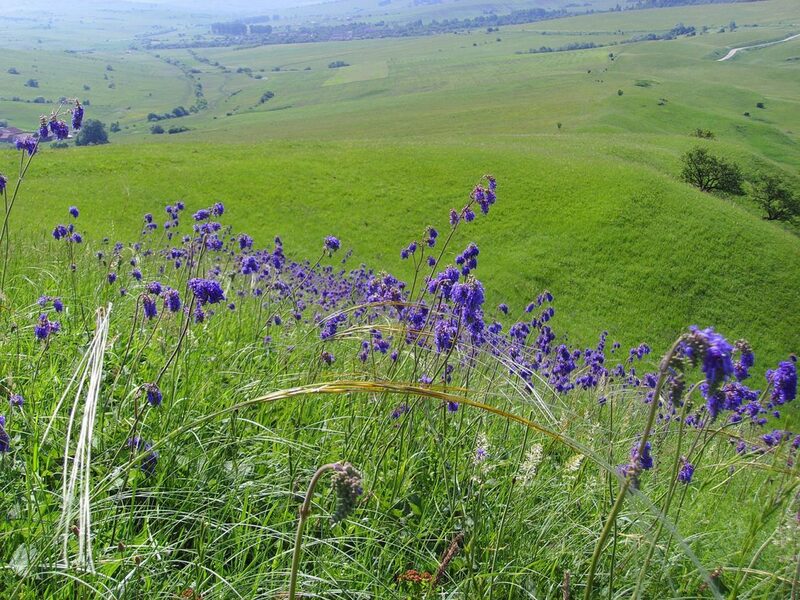 The locating, mapping and assessing of grasslands in such an enormous area, 85,000 ha, presents a great challenge. To achieve this in the first phase of the project, we designed an innovative database, using the existing mapping system of the Ministry of Agriculture and Rural Development. This system divides farmland into Physical Blocks: using the same Physical Blocks allows good coordination with agri-environment schemes in the future, making the results more sustainable as they can linked more easily to future support payments. 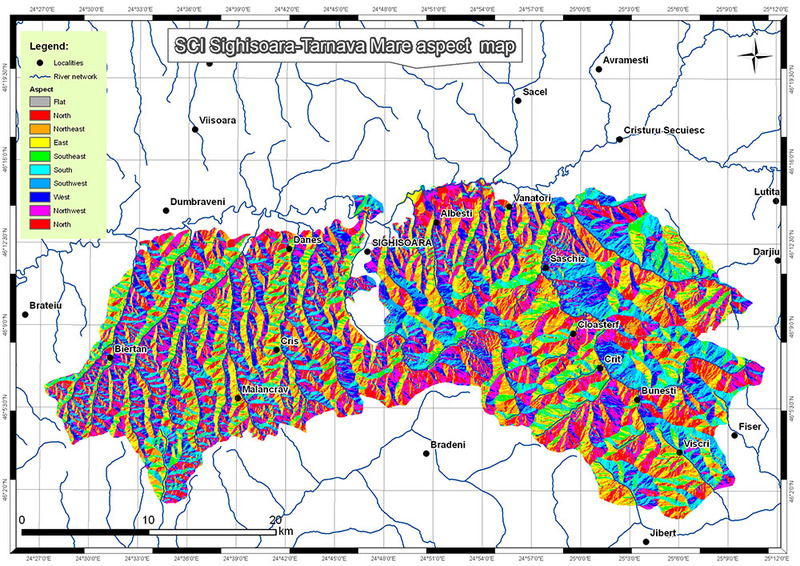 We also designed an innovative GIS mapping system, using slope (over 15 degrees slope) and inclination (S or SW inclination) to predict presence of the habitats. This was found to be over 90% accurate when field tested. We identified by this GIS prediction 568 parcels of 6210* and 312 of 6240*. We were thus able to target our activities onto these parcels. The dry grasslands being protected under this project are managed by local farmers, and are their source of income. 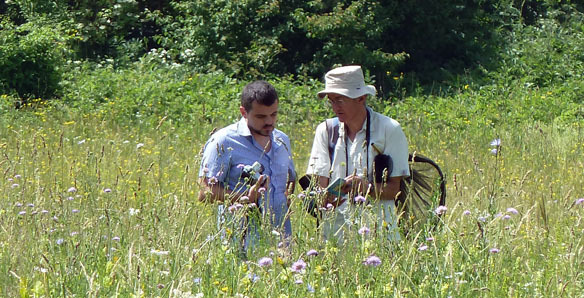 Local support for any conservation proposals is therefore essential for their success. It was therefore essential to keep in regular contact with, and to discuss the project with farmers, to check that proposals in Conservation Action Plan were practical and acceptable. We had regular meetings each year with farmers, individually, or in groups and associations, and with Town Halls and other community groups. 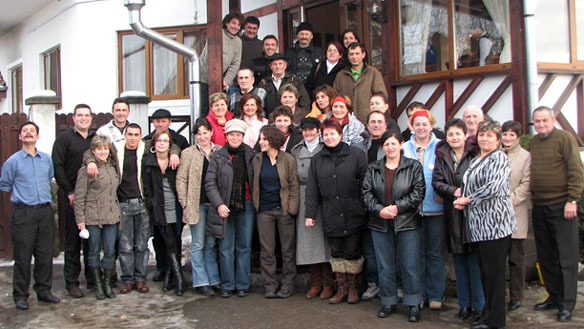 The support of individual farmers, grazing associations, Town Halls and of the Local Action Group (Dealurile Târnavelor) covering the area has been very helpful for the project success. 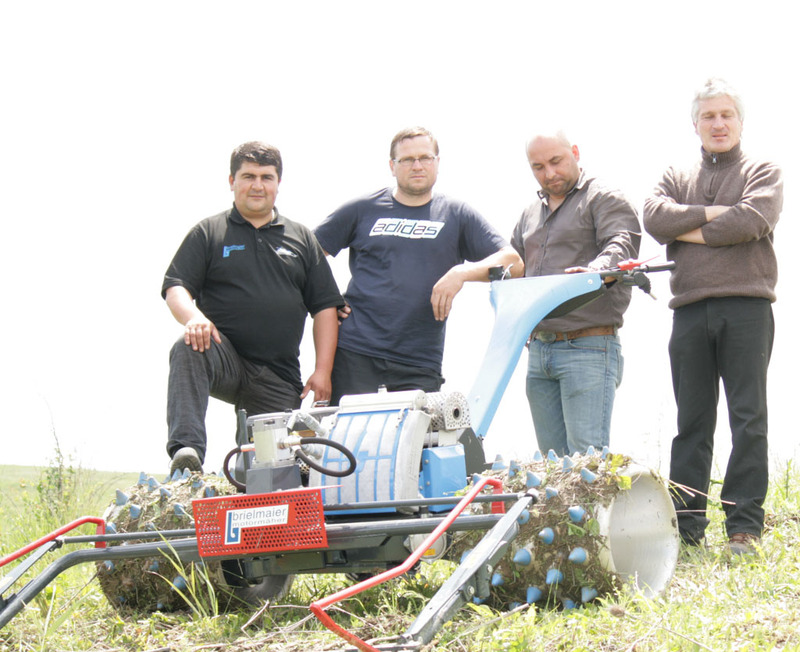 We carried out many demonstrations of the innovative mower, Brielmaier, for scrub clearance. 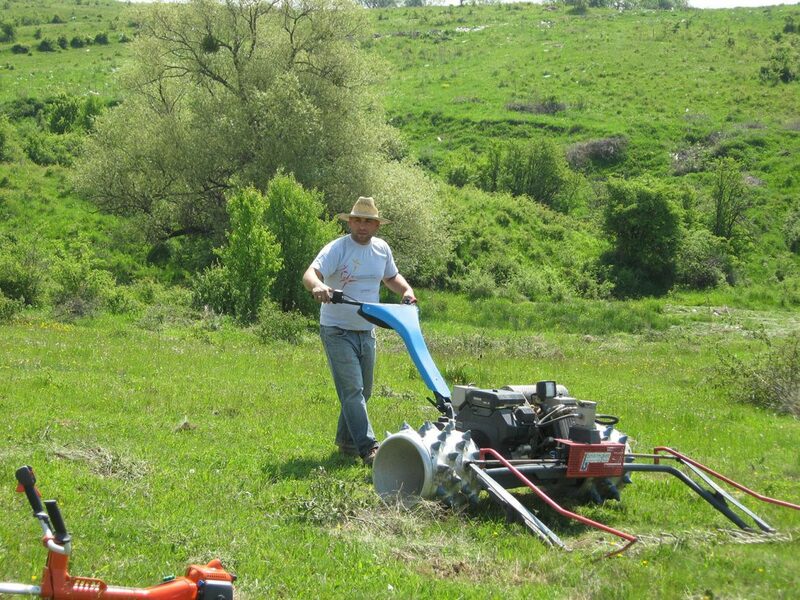 The Brielmaier allows speedy and energy efficient mowing of sloping grasslands: this helps farmers to maintain the sloping dry grasslands, now that hand mowing has become prohibitively expensive. Two local contractors were trained for future use of the Brielmaier in the project area. This ensures future availability of the machine for sustainable project results. Over 320 ha were cleared of scrub by the innovative Brielmaier mower. 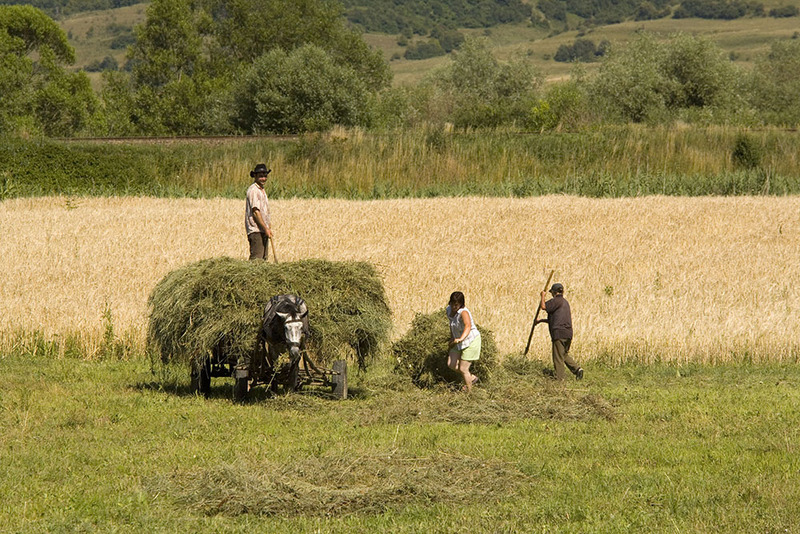 This made the land more productive for the current users of the land, and made them eligible for Common Agricultural Policy support payments, providing good incentives to keep the land in good condition once we had carried out the difficult job of clearing it. We improved the long-term conservation of a larger area, by increasing farmer participation in grassland agri-environment schemes. This will provide long-term incentives for good management. During project lifetime, over 3,800 ha of target grassland entered a special grassland management support measure as a result of ADEPT promotion. Five times the amount of land, and seven times the number of farmers, participated in agri-environment schemes, compared to neighbouring areas without an active NGO promoting agri-environment schemes. 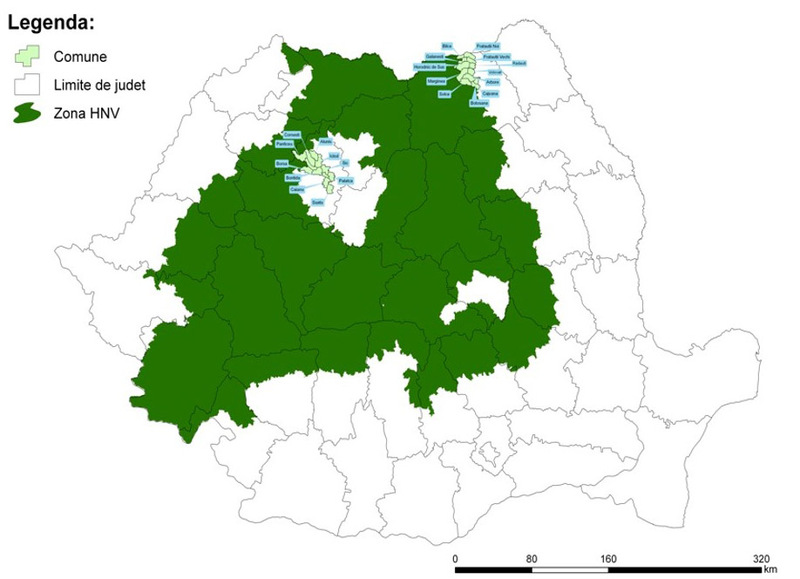 Micro-reserves are small areas of special importance, which are protected under local management agreements between the NGO and the land manager. 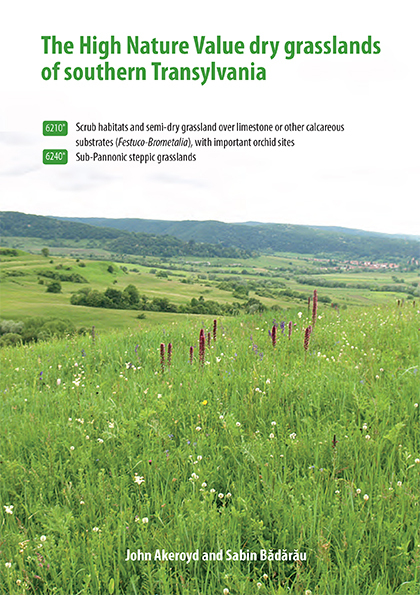 Under the STIPA project, six biodiversity hotspots have been established on Town Hall land, as micro-reserves with Town Hall agreements.Micro-reserves are good not only for immediate protection of a site, but also for raising awareness of the importance of these types of grassland. Working directly with the Ministry of Agriculture, ADEPT successfully proposed new agri-environment measures at national level, effective from 2012. This made an additional 26 communes eligible for grassland management support payments, many thousands of hectares for which farmers are now offered an incentive for good management. For the first time, farmers using the innovative Brielmaier mowers are eligible for the higher payments: an important precedent for the future of the dry grasslands many of which would otherwise be abandoned. 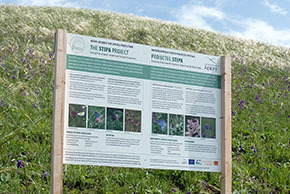 The 8 schools in the area enjoyed the nature classes delivered through the project: over 280 children per year in classes V-VIII attended, as well as the teachers who were left with teaching materials – including slide presentations, booklets for identification – and the skills to carry out future monitoring of wildlife in their local grasslands. 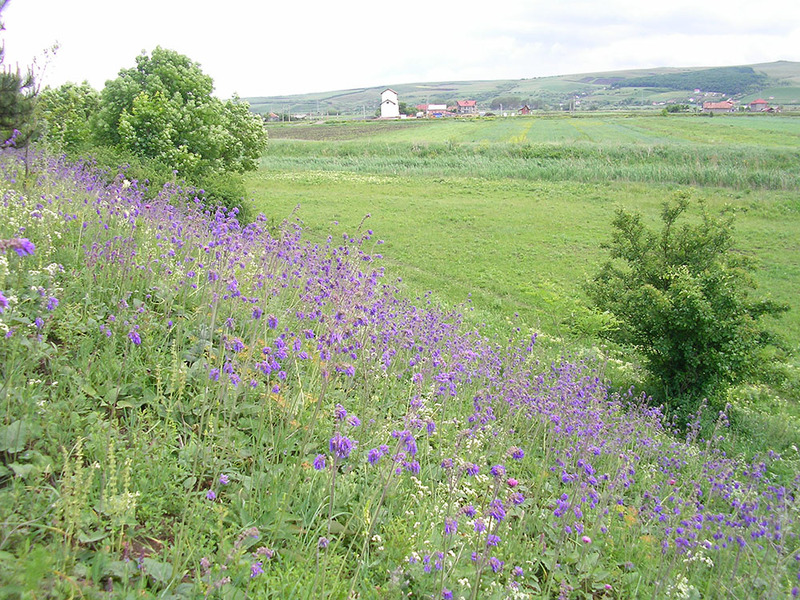 We established monitoring at different scales, to check whether the clearing of the grassland had resulted in increased flower diversity and better status of these important habitats. We are pleased to report the even in the short 3-year project period, significant measurable improvement in flora was measured. Monitoring 2011-2103 of grasslands cleared of scrub has revealed significant increases in floristic diversity. 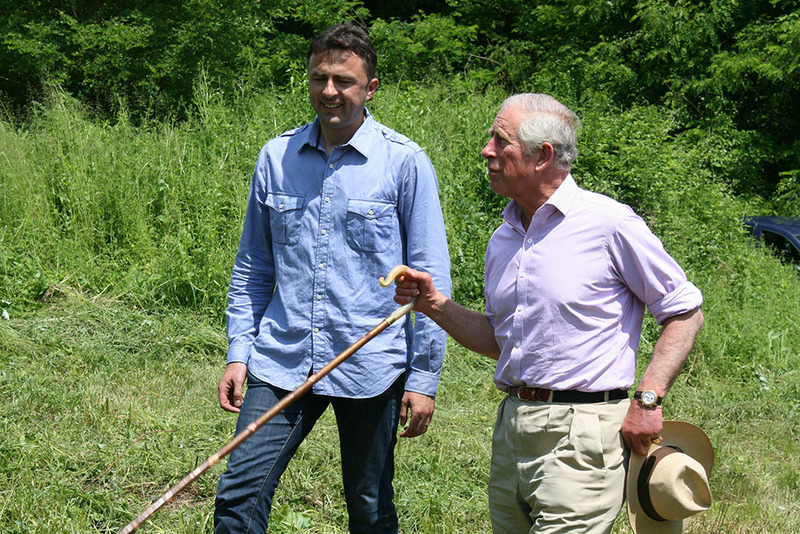 Visits by HRH The Prince of Wales and EU Agriculture Commissioner Dacian Cioloș resulted in millions of TV viewers hearing about STIPA project and ADEPT activity. The project also received good coverage from local and national newspaper and radio, papers in academic journals and presentations at several conservation conferences. the mapping has revealed the importance of the area, and is a tool for future support payments through the Common Agricultural Policy (CAP). the project has left skills in the area, contractors who can now make a business out of using the Brielmaier. local people (farmers, and the next generation of farmers, the schoolchildren) understand much better the value of the land that surrounds them. Local pride is developing, which, combined with financial incentives, will assure a much brighter future for some of Europe’s last great lowland grasslands. 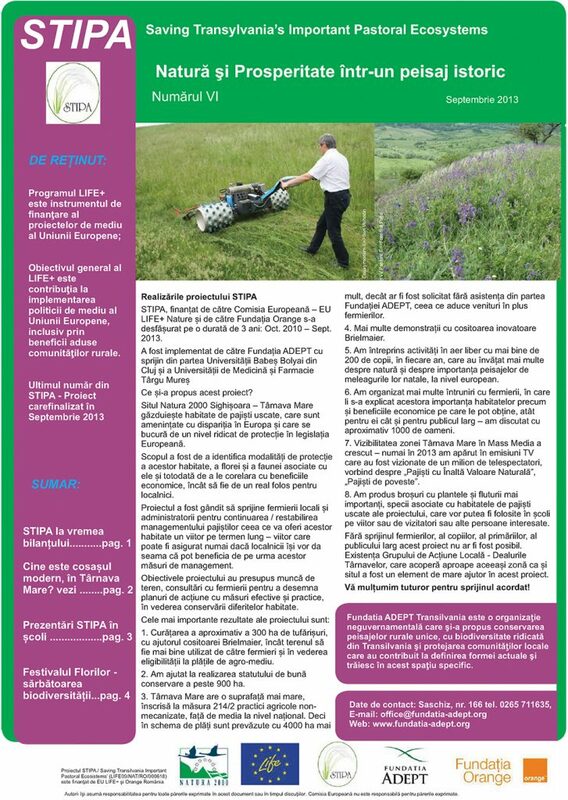 We will incorporate the Conservation Action Plan for the target dry grassland habitats, developed under the STIPA project, into the overall management plan for the SCI/SPA. We will continue to provide farm advisory services to promote economic viability of the broader landscape of which the target habitats are an integral part. 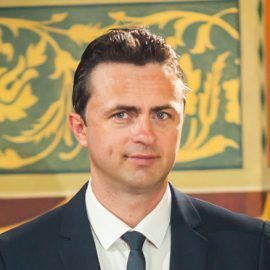 Want to support our projects?